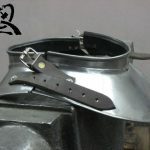 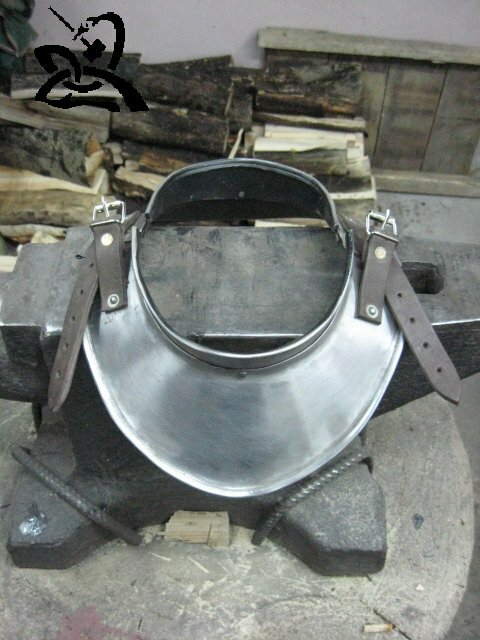 Gorget – originally a steel collar used for neck and throat protection. 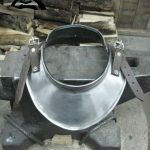 Gorget was a part of ancient armour and was intended to protect against swords and other bladed weapons. 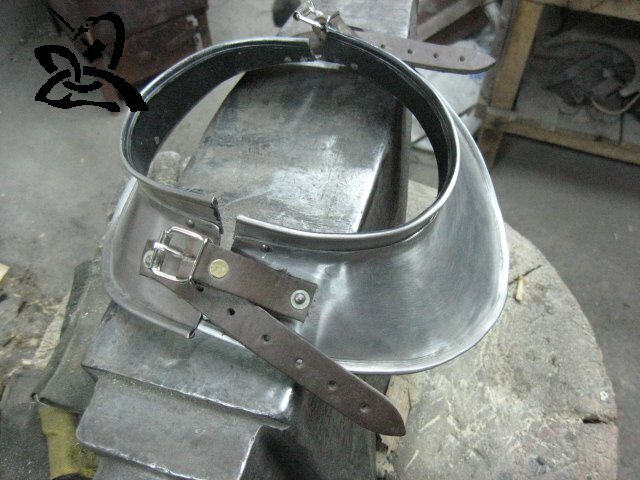 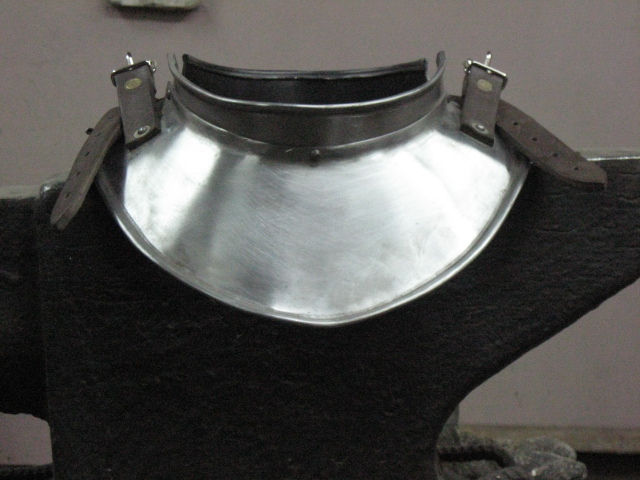 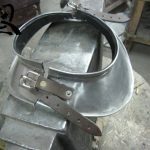 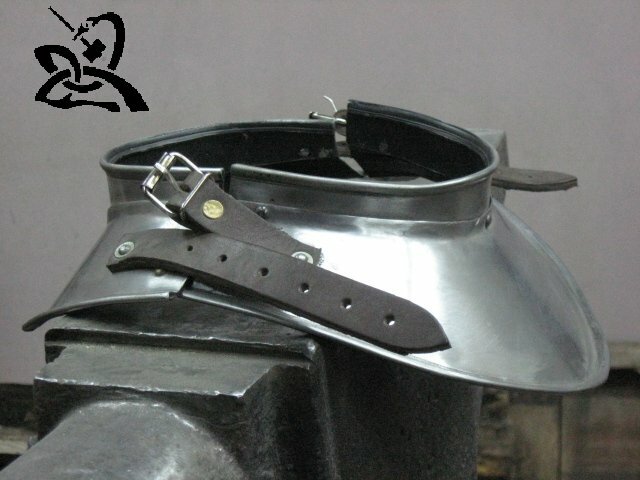 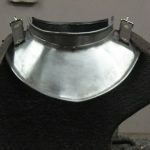 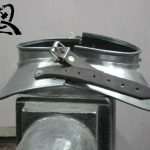 The most medieval gorget were simple shields to protect the neck, worn under the breastplate. 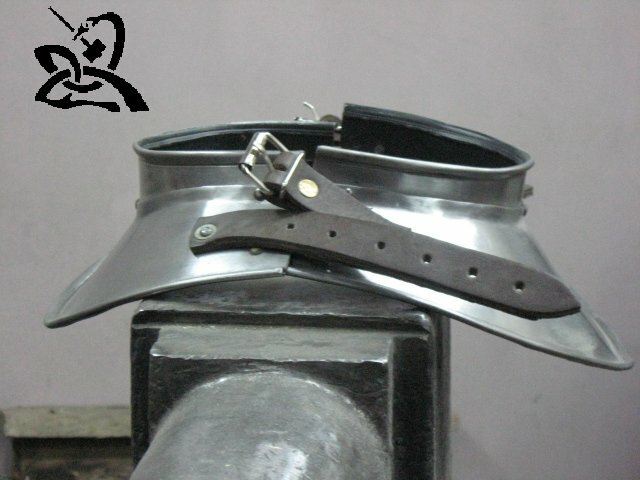 These plates support the weight of armour worn on them and were often fitted with straps for attaching other pieces of armour.